What else is there to say about Trace McSorley at this point? To say he has exceeded expectations during his two seasons as Penn State’s starting quarterback is a complete understatement. The last we saw of McSorley, he had perhaps his best game, highlighted by this insane stat : 12/12, 193 yards and two touchdowns on THIRD DOWN passes alone. McSorley continues to get better, and his senior season, surrounded by immense talent on offense, could be the stuff of legends. This may seem hard to believe, but Johnson has only one career receiving touchdown (although it’s an incredibly memorable one) . Now it’s time for him to shine as he likely becomes McSorley’s top receiver in 2018. Johnson is a huge target with outstanding speed, and should be able to find the end zone much more often this fall. He really turned the corner toward the tail end of 2017, and could now emerge as one of the nation’s best receivers. Oof. Johnson seemed like he really turned a corner toward the end of the 2017 season, and I was among his most fervent supporters that anticipated an All-American season. Instead, 2018 saw Johnson battling injuries and inconsistent play. He only finished with one touchdown on the season, to go along with 25 catches for 352 yards. Johnson has announced his intention to transfer for his final year of eligibility. Here’s hoping for a huge season for Johnson wherever he lands before next fall. The Nittany Lion offense should be in great shape, despite the losses of Saquon Barkley , DaeSean Hamilton and Mike Gesicki. The defense, on the other hand? They will need to rely on some inexperienced players from the start and hope they catch on quickly. There will be some weeks where the youthfulness rears its ugly head, and the defense has a tough time getting off the field. This should result in at least a couple spectacularly entertaining and nerve-shredding games along the way. While not the game I expected, this nearly came true in week one as Penn State escaped with a 45-38 overtime win against Appalachian State. They would go on to score 51, 63, and 63 again in blowout victories the next three weeks. After that, Penn State never managed another 40-plus point performance. It’s no secret that Gillikin has given Penn State a major boost in the field position battle- not only can he flip the field with a booming punt, but also has the precision to bury an offense deep in their own territory with a corner coffin kick. His previous long was a very nice 69-yard punt in 2016, but this year he tops that with a boomer that will have Penn State Twitter abuzz. At least I was close on this one. Gillikin blasted a 74-yard punt against Michigan, and also had a 70-yarder at Rutgers and a 71-yard boom in the Citrus Bowl. 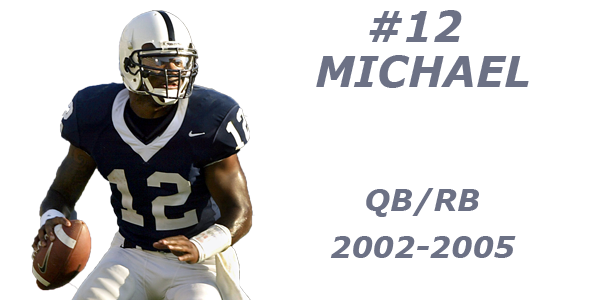 Do you know which Nittany Lion holds this record? It happens to be Christian Hackenberg , who tossed for 454 yards against Central Florida in James Fraklin’s first game as head coach to kick off the 2014 season. Throwing for 455-plus yards in a single game is a tall order, but nothing that McSorley can’t accomplish. 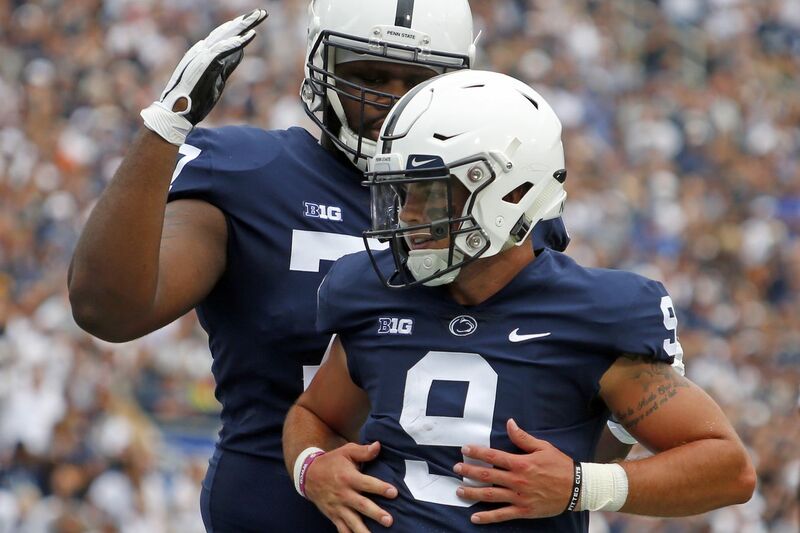 McSorley continues to get better over time, and will now be the focal point of the offense for the first time in his Penn State career now that Saquon Barkley is off to the NFL. With a bevy of talented receivers at his disposal, McSorley is ready to let it up and should put up some eye-popping numbers throughout the season. I was nowhere even close on this one. McSorley didn’t even notch a 300-yard passing game in 2018, with his most productive passing game coming against Ohio State, when he tossed for 286 yards on 16-of-32 passing with two touchdowns and no interceptions. He did finish the game against the Buckeyes with an eye-popping 461 total yards after contributing 175 on the ground. Sanders finally exits the shadow of Saquon Barkley after playing a small part in Penn State’s offense during his first two years in State College. Now, the former five-star prospect and top-rated running back in his class is ready to break out on his own and show the world what he can do as the team’s primary back. What better way to for the Pittsburgh native to make a statement than a huge week two performance against the Panthers? He certainly won’t lack any motivation to make a statement as he helps quash any hopes of an upset in his own backyard. Something tells me he comes out hot, and Ricky Rahne is more than happy to keep feeding him the ball. While not meeting my lofty expectations, Sanders had an outstanding game against Pitt by rushing for 118 yards with a 7.4 yard per carry average. He did hit the 200-yard mark on the nose two weeks later against Illinois, when he also contributed three touchdowns on the ground. Miller is about to get at it this season, along with many of his position mates at defensive end. The redshirt junior has made an impact since the first time he stepped on the field, and continues to get better. Not only will Miller be improved as an upperclassman, he will also greatly benefit from the up-and-comers at defensive end like Shaka Toney , Yetur Gross-Matos and Shane Simmons , who defenses will need to pay more attention to, freeing up Miller to get after the quarterback on a steady basis. I picked the wrong defensive end here, as Yetur Gross-Matos earned first-team recognition after a strong breakout year. However, Gross-Matos’ breakthrough may not have happened had it not been for all the attention given to Miller. The leader of the DE unit still had a phenomenal season, finishing with 15 TFLs and 7.5 sacks. He’s now off to play on Sundays in 2019 and beyond. I’m just not able to predict a Big Ten Championship or College Football Playoffs berth for the Nittany Lions with all the productivity that needs to be replaced and inexperienced players who will need to learn on the fly. However, I believe this team will find itself invited to a NY6 bowl for the third consecutive year. And with all the talent James Franklin and co. have stockpiled along the way, we can reasonably expect Penn State to be in the thick of the playoff race on an annual basis. The future is incredibly bright, my friends. This one was rather close to being correct. Unfortunately, close only counts in horseshoes and hand grenades. Penn State was ranked 12th at the close of the regular season, which is typically enough for a blue blood program with a massive fanbase to get the nod. But when everything shook out, there was no room for the Nittany Lions in the NY6. They would go on to accept an invite to the Citrus Bowl to play Kentucky instead.